When people get to work each day and have a clean and tidy space, be it an office, classroom, library or canteen, it's easy to forget that the previous day's debris has usually been efficiently cleared away by a dedicated team of cleaning staff. We at Lightowler, have been recognising the important role our employees play and have singled out one particularly dedicated member of staff for her ongoing efforts to keep our customer’s workspaces spick and span. Lightowler would like to congratulate and give a big thank you to Jean Green on her 36 years of service. Over the years Jean has cleaned for a number of clients, including Hull Paragon Station and her very first cleaning job on the top floor of Chariot House in Hull. Jean loves her job and prides herself on doing a good job for her clients. Jonathan Hinks, Managing DIrector of Hinks Insurance commented, “We’re really happy with the cleaning service than Jean provides, she works hard to ensure our workspace is impeccable each day. 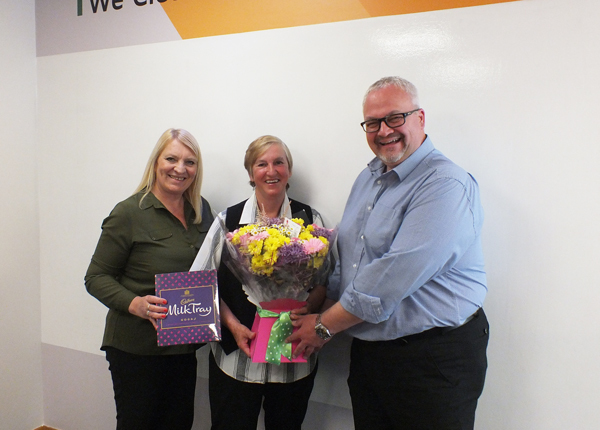 The cleanliness of our office contributes to overall productivity so we really value the work that Jean does for us”. ”Lightowler understand the value our employees bring to the company every single day” noted Peter Dorset, Managing DIrector of Lightowler. “The dedication and loyalty of our employees is one of the key reasons that Lightowler is still growing after over 160 years in business.